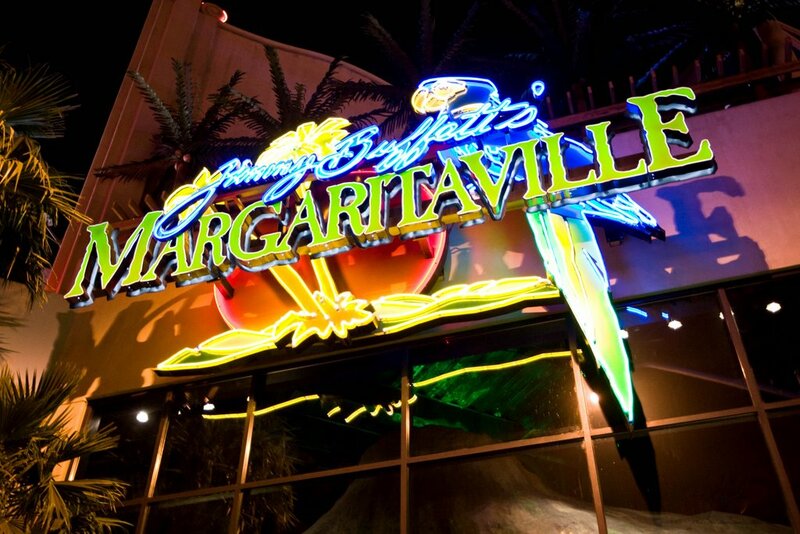 Jimmy Buffett’s Margaritaville in Universal Orlando’s CityWalk is adding new Caribbean dishes, decadent desserts and wild drinks to its menu. Items including the new Landshark Lager Fish and Chips entrée and the existing Fish Tacos are prepared with Landshark Lager. Inspired by Buffett’s song “Fins,” the lager is the house beer of Jimmy Buffett’s Margaritaville and is brewed by Margaritaville Brewing Co. in Jacksonville, FL. Other new entrées include the Chimichurri Flat Iron Steak and the Shrimp Trio. Aside from the new “Drunken” Shrimp Skillet appetizer, there is also an additional Bites section of the menu that will allow guests to mix-and-match a few smaller plates. Guests can choose between Maryland-Style Crab Cake Sliders, Grilled Shrimp Skewers or Beach Tacos filled with Pork Carnitas, Carne Asada or Chicken Tinga. They’ve also added new desserts including the Chocolate Hurricane as well as Chocolate Banana Bread Pudding made with bananas and chocolate chips. I can’t forget about the drinks. Margaritaville Orlando is also adding over a dozen new cocktails to their drink menu. After all, the restaurant is named after a Margarita. Don’t worry; classic menu mainstays such as their signature Cheeseburger in Paradise won’t be going anywhere. These dishes sound great, but I think they’re missing out on an obvious marketing opportunity. 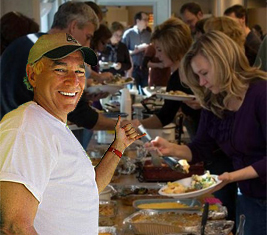 Here’s a free genius idea for a Jimmy Buffett restaurant; Serve food Buffet-style. You’re welcome, Jimmy. That one’s on the house.